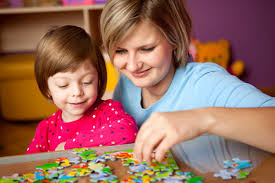 TLC For Kids has been providing nanny placements for over 30 years in St. Louis. Five years ago we opened in South Florida. Hiring a nanny is an important decision for your family. There are many things to consider like finding nanny candidates, screening and interviewing them and setting up a contract. Often times we are asked why a nanny agency can be beneficial for families when there are so many do-it-yourself options on the web. Here is list outlining the reasons why families should hire a professional nanny agency to help them with their nanny search. A good nanny agency saves time for both nanny and family. It has tested procedures for recruiting, advertising, screening, and counseling, and policies regarding both placement and refunds. It has an established reputation based on previous nanny placements, which in turn draws additional nannies and families into its registry, improving the choices for all. A good nanny agency treats nanny and family as equals. Both are its clients, for without one it will not have the other. A good nanny agency provides a solid nanny/family contract. A good nanny agency stands behind its placements and impartially counsels both parties in case of on-the-job conflict. A good nanny agency monitors the success of its nanny placements and may even offer workshops and gatherings that support both nanny and family. Experience with a good nanny agency is probably the best possible introduction to the placement process: when a nanny has fulfilled her commitment to a good agency placement, the experience – awareness of screening procedures and of the many hitches along the way – will help both nanny and family in the next go-around. A good nanny agency is known by its customer service, the caliber of the nannies and families it serves, and the frequent long-term success of its placements. 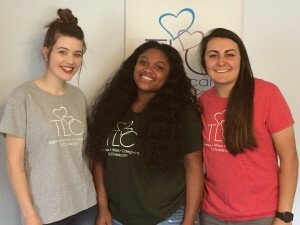 If you would like to learn more about TLC for Kids and how we can help you hire a nanny please visit TLCforkids.com or contact Debbie Hipp at 314-725-5660. 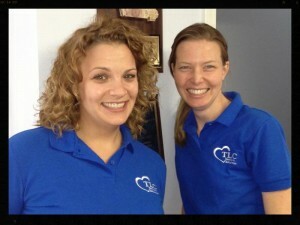 Debbie Hipp is the new TLC Nanny Placement Director. Debbie has been working for the past couple years as TLC’s Placement Counselor, recruiting and screening nannies for nanny jobs. For those of you who do not know, Debbie was TLC’s Placement Director 10 years ago. She left her full-time position with TLC at that time to care for her own growing family. Since then, she has continued her relationship with TLC. Debbie has worn many hats at TLC for Kids. Besides screening nannies, she has managed our social media and blog, staffed on-call babysitters early in the morning and has helped in TLC’s website development. We look forward to her leadership role in the nanny placement department. As we welcome Debbie into her new position, we also said goodbye to Jessica Friedman, who has been our Placement director for the past 10 years. Jessica has chosen to take some time away from TLC to be with her growing family. Throughout her time here, Jessica became an expert with both her clients and her nannies and she will absolutely be missed by them. Earlier this week, she sent an email about leaving TLC that was met with a huge outpouring of love from both groups. I want to wish you Good Luck with your new adventure. Thank you for being an awesome Placement Director, sounding board and advisor! So sad to see you go! We are so grateful for all you did to help place us. We simply adore Mary and couldn’t be happier. Enjoy your time with your family. I know today is your last day with us, so I wanted to tell you how much I’ve enjoyed working with you, even though we never got to meet in person! You are so great at your job and you have been such an incredible help to me as I have learned to take on different responsibilities here. You have been so patient with me and helped me with our wonderful and completely rational Miami clients! I hope that we’ll get to meet someday and I wish you all the best! Jessica may have left the TLC office, but she will never leave the TLC family. Schools will be out before we know it and summer will be here! TLC offers many services to help with your summer needs. Temporary Childcare: TLC temporary sitters can help with last minute needs, transportation and date nights this summer. House and Pet Sitting: If you are traveling this summer and need someone to watch the house and take care of the pets let us know. We have pet sitters available. Traveling nannies: Do you need another adult for your vacation this summer? We have sitters who can accompany you on your trip to help watch the kids and give you a needed nights out! Tutors: TLC tutors are certified teachers and can give extra help this summer to keep your kids on track for next year. Visit our website to learn more about becoming a member of TLC today!